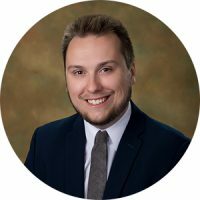 Tyler first joined Westaway Law Group in 2017 as a law student and is pleased to return to the firm for his articling year. Next year, Tyler will clerk at the Federal Court for Justice Noël. Tyler’s practice is focused on litigation and research support. Tyler recently completed his law degree at the University of Ottawa with a specialization in Environmental Law. He worked for over two years as a research assistant for Professor Nathalie Chalifour. During that time he was a member of the Environmental Justice Research Project where his research primarily focused on the application of Charter and Section 35 rights to address the disproportionate distribution of environmental burdens faced by many Indigenous communities in Canada. Tyler also worked as a research assistant for the Smart Prosperity Institute where he studied the application and benefits of green growth policies and carbon pricing mechanisms. Prior to joining Westaway Law Group, Tyler worked at a boutique law firm specialized in real estate and business law for nearly five years. He completed an Honours Bachelor of Social Science with specialization in Political Science at the University of Ottawa. Tyler is fluent in both French and English. Assisting on cases before the Federal Court, the Ontario Superior Court, the Court of Québec, and the Supreme Court of Canada. Member of l’Association des juristes d’expression française de l’Ontario.